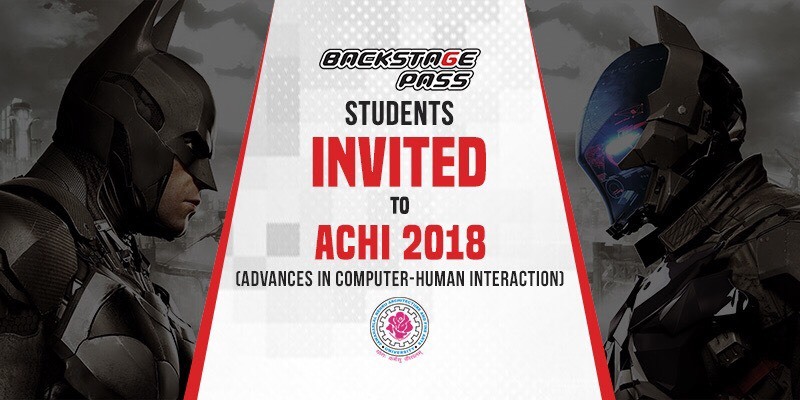 The Eleventh International Conference on Advances in Computer-Human Interaction, ACHI 2018, was proposed as a result of a paradigm shift in the most recent achievements and future trends in human interactions with increasingly complex systems. The conference which is organized by the International Academy Research and Industry Association (IARIA) happens every year and this year it will take place from 25th March to 29th March 2018 in Rome, Italy. Major topics covered during the event includes: Graphical user interfaces, virtual reality and 3D interfaces, visualization techniques, organic user interfaces, Haptic interfaces, cognitive models, user modelling and user focus, interaction of computers with children, designs for aging population, human-robot interaction, human-web interaction, computer games, Gaming, serious games, social impact of gaming etc. In short, the key focus of the conference would be about the computer human interaction in various scenarios. This year 2 students of Backstage Pass Institute of Gaming and Technology, PB Vatsan and P Urukram have been invited by the International Academy to present their research paper ‘Games that dust particles play’. 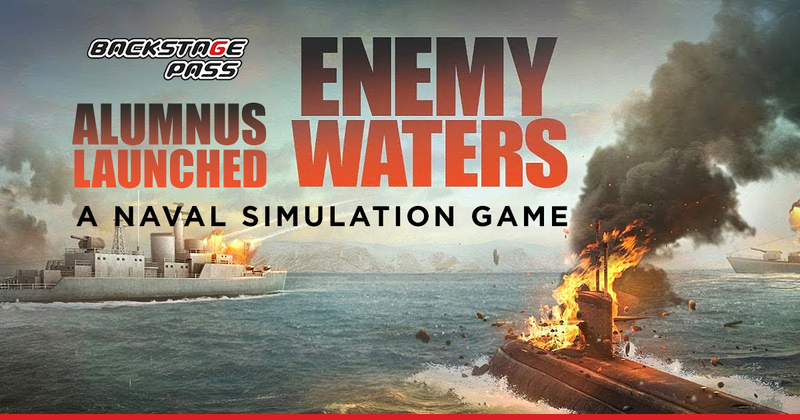 The encyclopaedic research paper of our students falls under the category of ‘Serious Games’ and they will speak about simulation for dust explosion, how the explosion happens, and virtual creation of the environment. 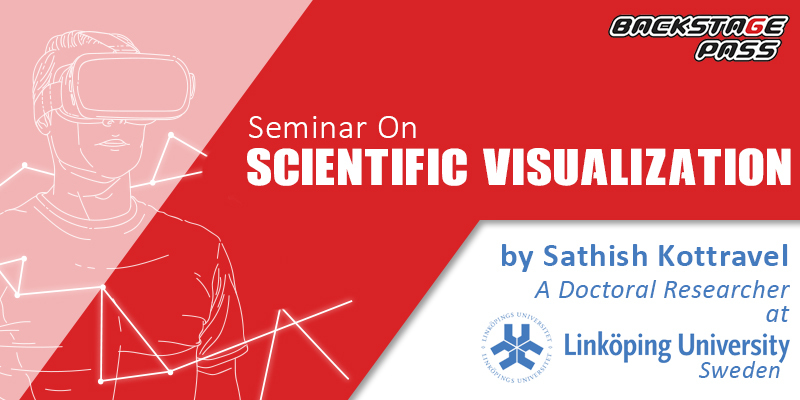 They will be giving an in-depth theoretical presentation of their paper where all the factors on dust explosion pentagon (fuel, Oxygen, Heat, dispersion, confinement) are thoroughly evaluated and modelled. Paper presentation options and session types will offer our students the prospect to share their work, discuss key issues in the field, and build relationships with attendees. 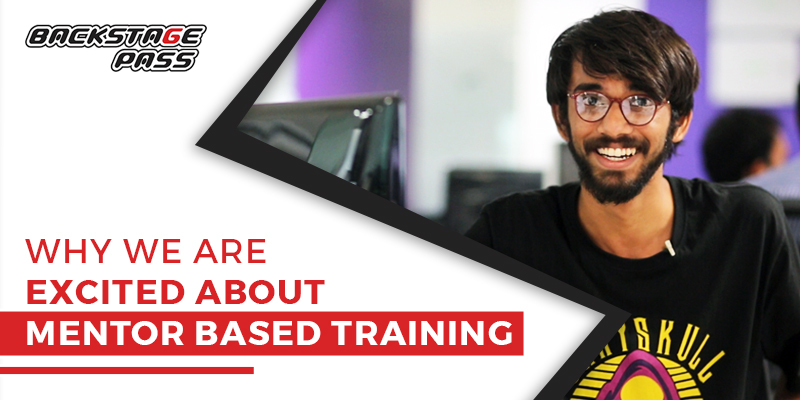 Surya P, Founder and CEO of Backstage Pass Institute of Gaming and Technology says “We have a bunch of creative students at Backstage Pass, who always want to learn and explore something new. Vatsan and Urukram are among them. This is a great opportunity for both of them to express their thoughts and effort they had put in”. After graduation, most of the students aspire to find the dream job in game development. Some want to set up a business, while the rest want to pursue higher education. 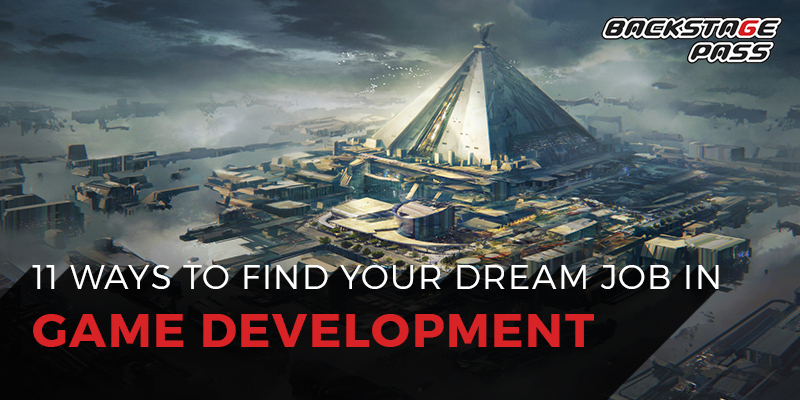 Here are eleven ways to help you find that dream gaming job you always wanted. Moreover, this is something you need to work on even as you are studying. Implement a combination of these paths that fit your learning style and work choices. If you want to opt for a career in gaming, you can choose from a wide range of online resources that teach you different aspects of gaming such as how to create graphics using Unity or Unreal and so on. 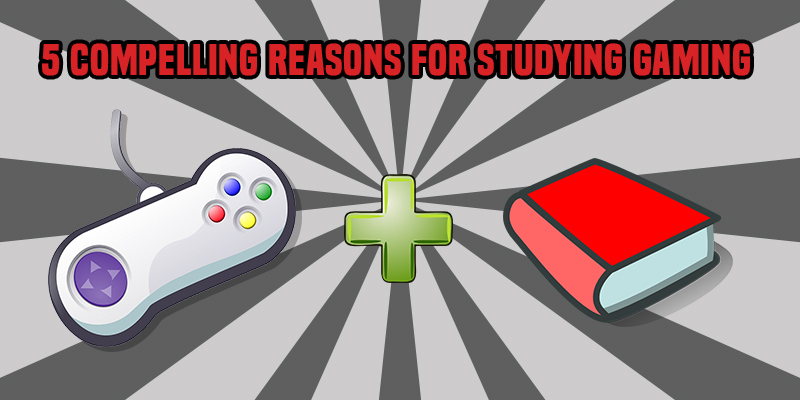 However, studying in a college is more beneficial. Apart from the learning, the teamwork, the communication skills, the college environment is a great place to nurture networks, both personal and professional. These networks help you choose an internship, get jobs, and even help start your own company in future. They are your safety nets. 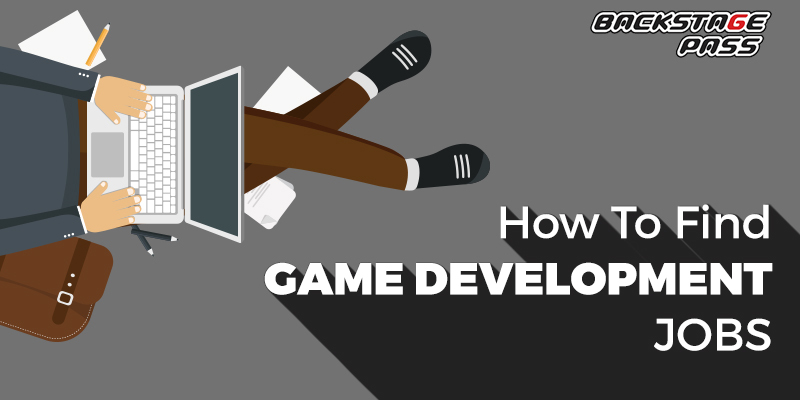 The Gaming Industry in India is still in the initial stages of growth, so it is not easy to hire experienced game developers. Therefore, most of the companies hire freshers from the gaming institutions as they can save time and costs associated with training new hires. Backstage Pass encourages student communities by creating the Backstage Pass Gaming Forum. This forum helps in networking with students, mentors, and alumni. You can ask queries, find new jobs, post your progress, inspire and get inspired by all that is happening in the gaming world. The Gaming Forum is open to all Backstage Pass students, both current and old, mentors and faculty members. It also serves as a job board that lists internship and job opportunities for students of Backstage Pass. The Gaming Forum helps students to post their work related to games, could be design, art or programming related, and they can also post games for feedback. 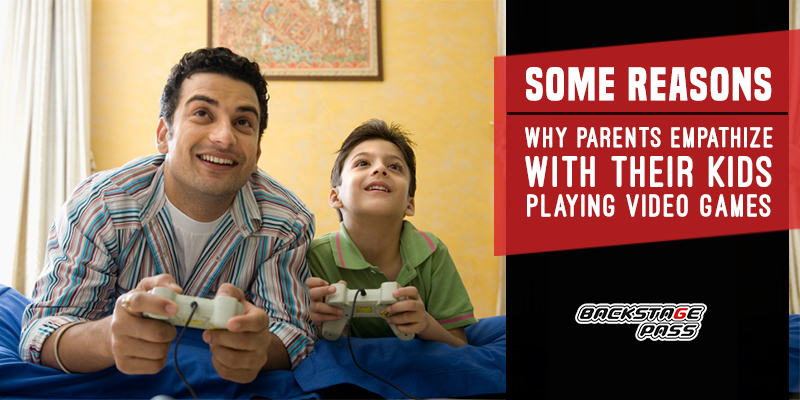 You will get quality feedback from Backstage Pass alumni who are experienced game developers themselves. Backstage Pass also has an incubator called Level2. Located at Backstage Pass’ campus, Level2 provides infrastructure, mentoring, marketing, publishing, and funding support to students who want to build games. These games are also sent to international competitions like Microsoft Imagine Cup, Casual Connect and so on. You will work with a team consisting of students, mentors and make games from scratch. You will learn teamwork, gain confidence to develop games, get a lot of exposure and make connections within the gaming industry. Every game developer needs to be well-versed in a programming language. If you know C++, you can adapt to any programming language with ease. While in college, understand what skills you will be tested in while appearing for campus placements or searching for a job on your own. Talk to your seniors to find out the typical interview questions that the recruiter asks. Enquire about how they got placed. Ask for tips and find out what went right and wrong during their interview. Your seniors are a good source of information which will help you in your interview preparation. Go to job boards, register as a game developer who is in school, and subscribe to their email list. The job board emails detail what skills are very educative. Chart a course based on what you are taught and what the job boards point. Make every effort to fill the gaps in your skills. At the same time, note that you cannot become a master of all skills. So, focus on what you would like to do. If you are a concept artist, it is a very competitive field, and you need to customise your work to specific studios. It is easier to get a job if your style is reflective of the studio’s style. Adopting different art styles will make you stand out from the crowd. Working on simple games can help you build a good portfolio. Get feedback from friends and mentors and improve your skills. It also helps to create an online presence like a website and participate in gaming forums and industry events. Your online presence is your website and your LinkedIn profile. You can showcase your portfolio and creations on your website and LinkedIn. Most of the prospective employers find it easier to shortlist candidates who have an online presence. Make a list of the top companies you want to work for. Research the employers to find out what opportunities they offer, their clients and owners, what games they make, their HR policies, how well do they treat employees, whether they are profitable, and so on. You can find answers to some questions on online job boards such as Glassdoor and PayScale. You can get the other details from friends, networks, company websites, industry market bodies, Quora, and so on. Take your time to do this research. It will help you to make an informed decision. Most of the jobs ask for experienced hires. Even if you do not have the experience, you should apply for positions that need 1-3 years of experience. The recruiters will shortlist you if they find your application meeting most of the other skills that they need. An impressive online presence coupled with the required skill set can quickly propel you into your dream job. Always remember to tailor your application to the company you are applying for. Dream jobs are created to attract the best minds in the industry. Make yourself one, and you have not one, but many job waiting for you when you graduate. Why are We Excited About Mentor-Based Training. At Backstage Pass, we follow mentor-based training. Do you want to know why we are excited about it? A mentor is an expert who guides and supports a studentin developing skills and maximising the student’s potential. At Backstage Pass, experienced mentors from the industry guide our students. 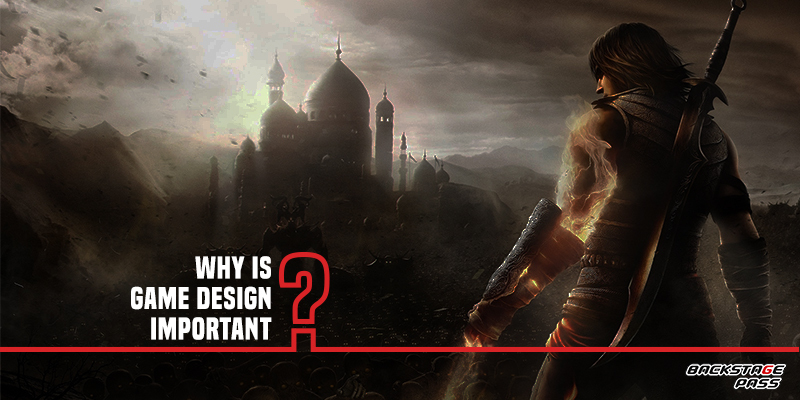 The mentors come from different fields of game-making such as game art, game design, game publishing, and so on. Also, the mentors are either entrepreneurs themselves or aresenior professionals from leading game development companies in India and abroad. Therefore, the mentoring quality is of the highest order. Backstage Pass counts several entrepreneurs among its mentors. Click the links to know their stories and their contributions in the gaming world. Rahul Sehgal, Jay Dev, Asar Dhandala, and Sushil George. For the gaming industry, mentor-based training is better than lecturingas it enhances the student learning and provides a solid base for their careers. Mentor-based training encourages the students to develop an entrepreneurial spirit in any task that they are involved. Therefore, the students own the task and become more independent in thinking and action. They are more engaged in their task and in their own development. The mentors create a student-centric curriculum that makes learning interactive, fun, and more involved (read experiential) than the standard college curriculum found in degree colleges. The students get an opportunity to think and grow. The mentors validate, support and encourage the students. The mentor has a positive impact on the students. Mentor’s success and proximity motivate the students to learn as much unconsciously as they do consciously. Apart from sharing their knowledge and industry best practices, thementors also educate the students on what went wrong when the mentors themselves were budding in their profession and how they learnt from their mistakes. They let the students explore and learn practically. They pass on their experience and wisdom to the students.Mentorswith a track record of making incredible games are revered by students. The mentor-based training program strengthens and deepens the relationship between the students and the mentors. Consequently, the students learn soft skills like public speaking and interpersonal, problem-solving, and self-advocacy skills. The mentors have a well-developed contact sphere within the gaming industry. Often, mentors help the students using their contact sphere. The student-mentor relationship continues well after the students graduate and both continue to benefit. A mentor-based training programme provides an opportunity for the students to build contacts with alumni and the professionals from the gaming industry. They will get jobs in companies that hire through referral networks. The mentor-based approach makes the students aware of what to expect when they graduate and get placed in a job. Every company has a mentor based training programme, and they will easily be able to blend in. The gaming industry conducts many workshops and seminars (learning and practice sessions) for our students. Many companies volunteer staff to teach our students as it helps them recruiting the right talent and keep the talent pool relevant to the changing demands of the industry. The added benefit is a rich and industry-relevant curriculum. Every Backstage Pass mentoring relationship has a clear and structured goal of student success, professional development, and all mentoring activities are related to that goal.